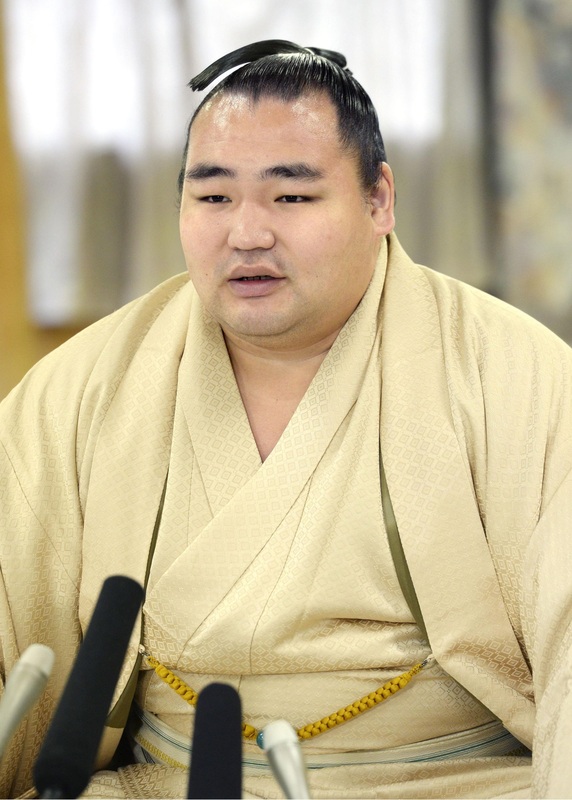 Autumn champion Kakuryu took the prestigious east yokozuna slot for the first time as the Japan Sumo Association on Monday released the rankings for the upcoming Kyushu Grand Sumo Tournament. Kakuryu ousted Terunofuji in a dramatic championship playoff at the Autumn meet in September, although his path to the title was eased by the absence of the other two yokozuna, Hakuho and Harumafuji. 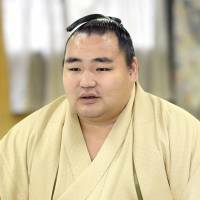 Hakuho pulled out early in the Autumn tournament with a left knee injury and is back on the yokozuna west side for the first time in 11 basho. Hakuho, the most successful wrestler in the history of sumo with 35 career titles, will appear in his 50th meet as yokozuna at the Nov. 8-22 Kyushu meet at Fukuoka Kokusai Center, taking sole possession of fourth on the all-time list. Former yokozuna Kitanoumi holds the record at 63 tournaments. Harumafuji, who missed the entire autumn meet and most of the Nagoya Basho in July due to a right elbow injury, is on the east side. Goeido, who finished the autumn meet with a 7-8 record, will be fighting for the second time to preserve his status as ozeki, sumo’s second-highest rank. Elsewhere, Yoshikaze returns to the fourth-highest rank of komusubi for the first time in nine tournaments after a highly impressive showing in September as a top-ranked maegashira. Yoshikaze defeated two yokozuna and two ozeki at the autumn meet and was awarded both the Outstanding Performance Prize and the Technique Prize, two of the three prizes the JSA gives to makuuchi wrestlers on the final day of a grand tournament. Mitakeumi, who scored a 12-3 record as a fifth-ranked wrestler in the second-tier juryo division last time out, is the only makuuchi newcomer. He reaches the top flight just four tournaments since making his debut, the second fastest since the start of the (1926-1989) Showa Era. Shohozan and Toyohibiki both make their return to the makuuchi division.